Methods for Transformer Oil Regeneration - ! Equipment for Transformer Oil Reclamation. GlobeCore. During power transformer operation, stability of the insulating oil gradually decreases due to oxidation, extreme heat, decomposition of insulating materials, etc. 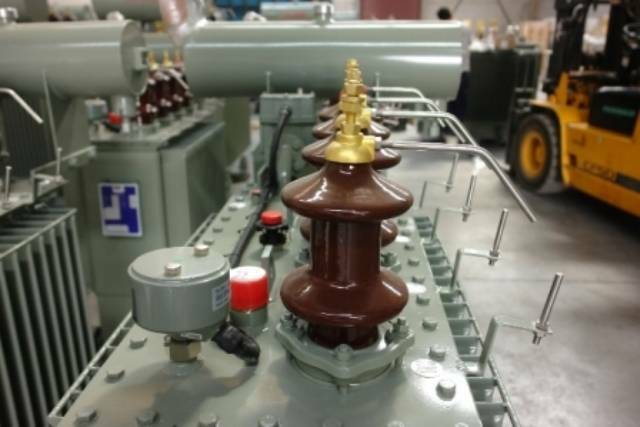 In order to monitor oil quality in oil-filled equipment such as power transformers, there are various kinds of tests that can perform what is known as Oil Analysis. An oil analysis testing program will reveal important diagnostic information such as water content, acid number and other important indicators of oil condition that signal timely preventive maintenance requirements. Aging of transformer oil primarily appears as oxidation, which causes an increase in the acid number. As the acid number increases above 0.08, the acids and other contaminates in the oil will become aggressive towards the insulating paper thereby damaging and reducing the the service life of the paper and the transformer. Oil stability therefore, is defined as the ability of the oil to resist the effects the oxidation process. Oil quality, oil oxidation inhibitors, and timely preventive maintenance all contribute to greater oil stability. Assertion The purpose of all methods of oil regeneration is the assertion and removal of waste products, various mechanical impurities and water from the insulating oil. It is based on the precipitation of particles and contaminates that are dissolved and suspended in the oil. Under the influence of gravity, the water and mechanical impurities, that have a higher density than the oil, precipitate with time, forming the precipitate. Assertion significantly simplifies and furthers the process of regeneration, but the dirt and water is not completely removed with assertion. The main advantage of assertion is its extreme simplicity, low cost, and safety for the oil. The main disadvantage is its long processing time. All methods of petroleum fluid purification that remove solids can be divided into two categories. The first category includes methods that are based on the process of separating solids by passing the contaminated oil through the porous walls of a filtering system. The second category includes all cleaning methods that utilize some type of “force.” Hydraulic filters are members of the first category that includes slot (wire and plate), mesh, metal-ceramic, ceramic, paper, cardboard, felt, fabric, glass cloth, glass wool types filters as well as filters from compressed fibrous materials and various plastics. The second category includes any process in which the fluids are cleansed of insoluble impurities by means of force using magnetic, electrical, gravity, centrifugal force, etc. Inside centrifugal cleaners (centrifuges, separators), the particles are separated from the fluid by centrifugal force that is generated during the high speed rotation of the contaminated liquid. Centrifugal cleaners can be used for cleaning only those liquids whose density differs substantially from the density of the solid or liquid impurities. Coagulation. This method is based on the consolidation of pollutant particle substances existing in finely divided form that is achieved by using special substances called coagulates. Adsorption. This method is based on the ability of the adsorbents to retain polluting products on its surface and on the surface of the pores. Adsorbents may be the substances such as natural (clays, bauxite, natural zeolites) or artificial (alumina, silica-alumina compound) origin. Ion exchange purification. This method is based on the ability of ion-exchange resins to detain pollution that are dissociated in the dissolved state into ions. Selective treatment. This method is based on the properties of the individual substances that pollute the oil (oxygen, sulfur and nitrogen compounds) which can be selectively dissolved under the influence of certain chemicals. Sulfuric Acid Cleaning. The method is based on the interconnection of substances that pollute the oil and put sulfuric acid into the oil. Hydrogenation. This method is based on the interaction of pollutants, which treats the contaminated oil with hydrogen. Also know as Transformer Oil Regeneration (restoring oil to its original new condition) is performed in several ways including: (1) Zeolites Oil Purification; (2) Purification through a Filter Press; and (3) Cleaning by drying in a centrifuge (purification method, clarification, clarification with dryer vacuum). Zeolite filter cleaning method was developed on the base of the mass transfer process, which is widely used in the chemical industry. Mass transfer and heat transfer is a complicated process involving transfer of substances within the range of one phase as well as across the interface into the other phase. For deep regeneration of oil with a high acid number, there is an acid-alkaline cleaning method in which the oil is treated with sulfuric acid that seals and connects all unstable oil compounds and acid sludge. Residues of organic acids and sulfuric acid are neutralized by adding alkali to the oil and removes tar through settling. The oil is then washed with distilled water, dried and is treated with bleaching earth to complete the neutralization process. The restored oil is then retrieved after the final stage of filtering. Silica is used for regeneration of low or moderately oxidized oils. Oil is repeatedly chased through the filtering system filled with silica gel. Oil flow, as a rule, is carried out by pump. centrifuge or filter press, which include the adsorber on the output. Other types of oil regeneration is accomplished with heating. GlobeCore has developed the industry leading GlobeCore Process of oil regeneration for transformer preventive maintenance. GlobeCore’s advance line of regeneration equipment utilize an automatic Fuller’s Earth reactivation system that allows GlobeCore to offer the most advanced and cost effective units in the industry today. It is time to get with the Process, the GlobeCore Process!